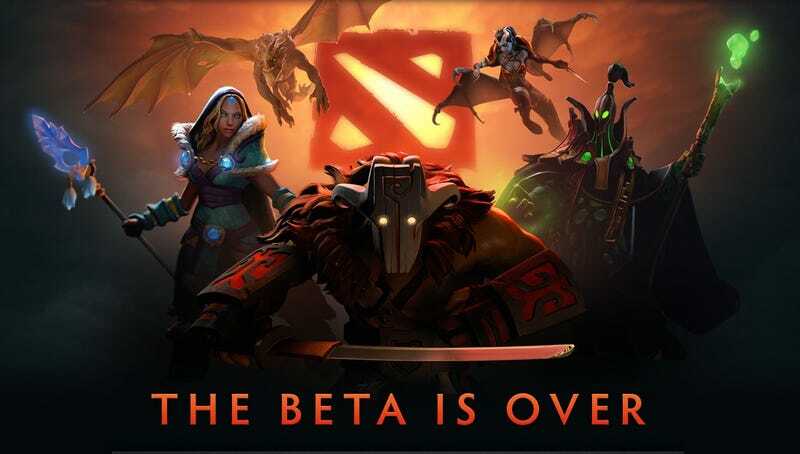 Guess the earlier accidental release of Dota 2 wasn't quite a false alarm: now the game is officially out of beta. Finally! Like we mentioned before, the launch of Dota 2 is going to take on a different shape than products we've shipped in the past. Our thinking is that we want the existing audience have uninterrupted access during the launch, in addition to bringing new players into Dota 2 in a way that isn't frustrating. Simply put, we want to smooth out the traditional launch spike, but at the same time allow anyone to come in and try out Dota 2.